Watch full The Loud House Season 2 Episode 10 full HD online. Cartoon video The Loud House Episode 36 online for free in HD. Bored with monotonous meals made by their father like Salisbury Steak on Sundays, Meatballs on Mondays, Turkey Loaf on Tuesdays, Wienerschnitzel on Wednesdays, Goulash on Thursdays, Fish Fry on Fridays, and Succotash on Saturdays, the kids sabotage the Goulash preparations to get pizza. After it works and Lynn Sr. catches onto them while also mentioning to have made the dishes due to the family’s food budget, the kids come clean and plan to cook tomorrow’s dinner for their parents with messy and comical results. And once they try the food the kids made, it tastes horrible. Lynn Sr., not wanting to have a Friday dinnerless decides to make his own food, and it became time he started mixing up the menu week after week. 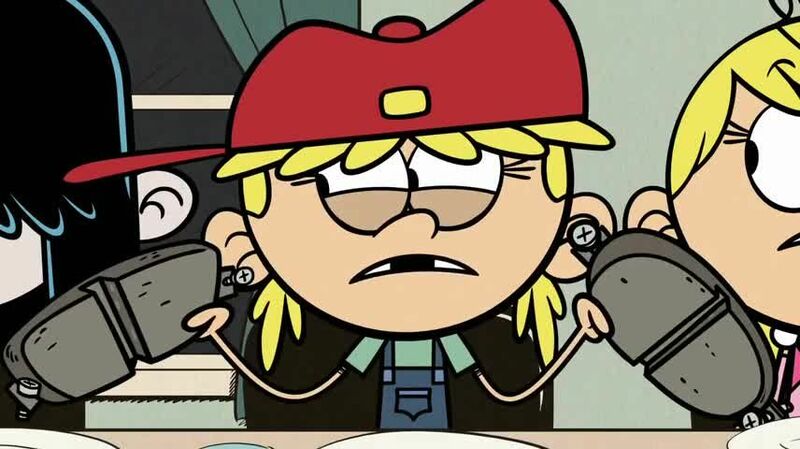 / Lincoln and Ronnie Anne have to take care of an egg at school, but Lincoln does not trust the chaotic Ronnie Anne to take care of the fragile egg. Meanwhile, Clyde is paired up with Penelope in taking care of an egg.